READY FOR COUNTRY LIVING??? 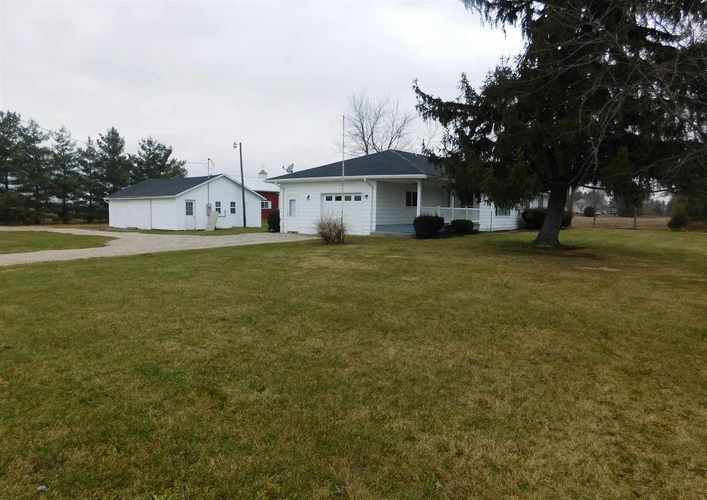 Over 3 acres with 2 outbuildings! Don’t wait to make this 3-bedroom, 2-bathroom home with attached garage yours! Spacious living room boasts a large picture window with recently installed overhead lighting as well as beautiful hardwood flooring, also found in the hallway and nice-sized bedrooms. Lots of cabinets and counter space in the kitchen with a large dining area. Relax on the freshly painted, covered front porch with new vinyl railing or on the covered back patio. Imagine the ways to utilize the 36 x 52 Morton Building and 24 x 30 outbuilding! New water softener; Newer roof, furnace, central air, water heater, kitchen and bathroom flooring. Make your country-living dream a reality! Directions:From US 24, go south on SR 9/US 24 to Division Road and turn left. House is located on the left, corner of CR 200.